At the recently held Zone 3A prospective Lions meeting held in Masvingo, Zone Chairperson Lion Siphiwe Ndlovu held the Lions Clubs International Flag high as she managed to engage about 18 well respected and business people in a Lions meeting which saw them committing to joining the pride as Lions. 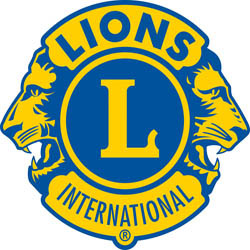 Lions Clubs International is a voluntary non-governmental organisations with more than 1,4 million members around the globe and over 46 000 clubs worldwide. The voluntary organisation is partitioned into districts and our country Zimbabwe falls under District 412 which comprises of Botswana, Malawi, Mozambique and Zimbabwe. Lions Clubs International normally abbreviated (LCI) has been on the move to encourage its districts to increase membership in their respective clubs in a bid to have more helping hands reaching out to the underprivileged and as a plus to District 412’s membership drive, Lion Siphiwe held this well received meeting in Masvingo and had the top team in the district facilitating topics on Lions and its membership. ●	Support the development of the clubs in their zones. ●	In coordination with the District GMT Coordinator, play an active role in membership development including extension of new clubs. Lion Siphiwe together with her team went on to donate Science textbooks to Ndarama High School and these were received on behalf of the school by the Head boy and his deputy together with the head girl. Four packs of diapers were donated to Mucheke Old People’s home, $50 towards water and drinks, a case of sugar, ballpoint pens, cake and snacks were also donated to the home. At another function in Zvishavane, Lion Siphiwe together with the Zvishavane Lions Club team managed to donate clothes to 16 underprivileged children from Reformed Church in Zimbabwe, Church of Christ, Johane Marange and Shabanie Mine School. The clothes donated were donations from well-wishers and Lion Club members. The team also donated clothes and groceries to a 60 year old Runesu Dube whose house was gutted by fire on the 24th of August 2017. The groceries of a value of $50 included the following: mealie meal, rice, cooking oil, sugar, salt, flour, laundry and bathing soap and potatoes.